With the redesign of their Silver Tip Badger Brush, Baxter of California marries beauty and craftsmanship for the release of its safety razor set. 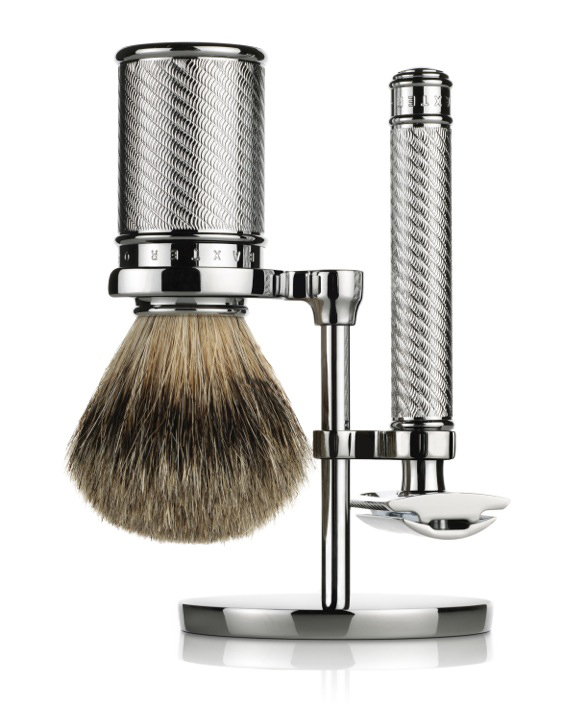 Made in Germany, the set takes design cues from the classic barbershop pole, which is used for an engraved pattern on the handles of the badger brush and safety razor. Those of you that shave in the shower will appreciate this important grip detail. The handles are also brass, nickel plated and finished in chrome. This is class all the way gents. 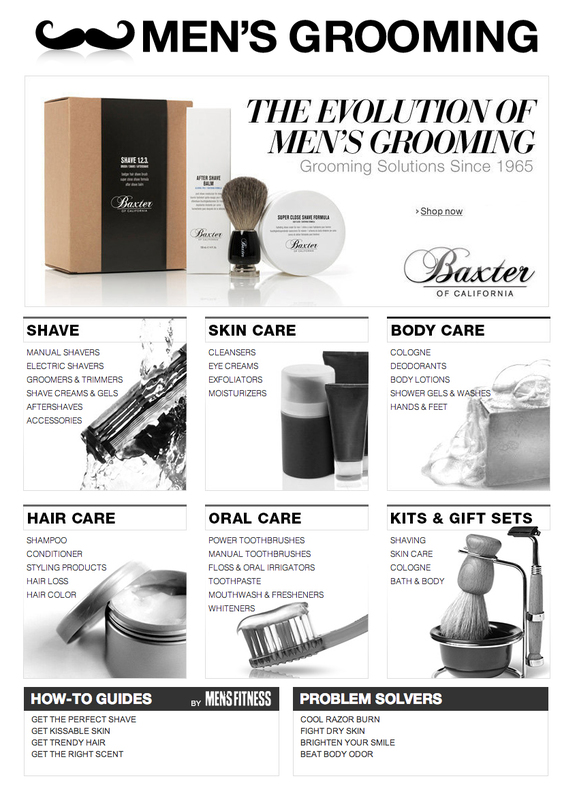 If there was ever a sign that the men’s grooming category is on fire, consider this: Amazon just launched a curated section on its site with the purpose of making it easier for you to get the products you need. 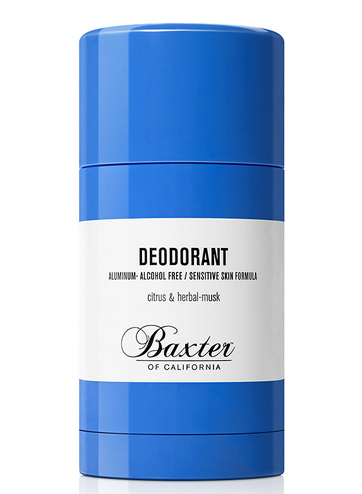 The Men’s Grooming Store carries a wide selection of men’s brands such as Baxter of California, Nivea for Men, Dove Men+Care, Norelco and Gillette to name a few. Men tend to surf the web quickly and this new store makes it easy for us to jump around and get to the point. Searchable categories include skincare, haircare, shaving, oral care, bodycare and kits & gift sets. I think you’ll appreciate that. One thing I’d like to see is more of the little guys getting space on there but it’s early and I’m an optimist. In the interim, finding some of your beloved brands just got a little easier.